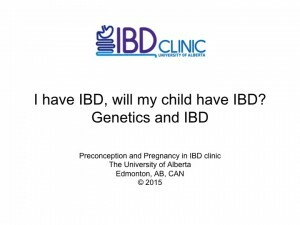 I have IBD, will my child have IBD? Having a family history of IBD and having certain genes can predispose a person to developing IBD. 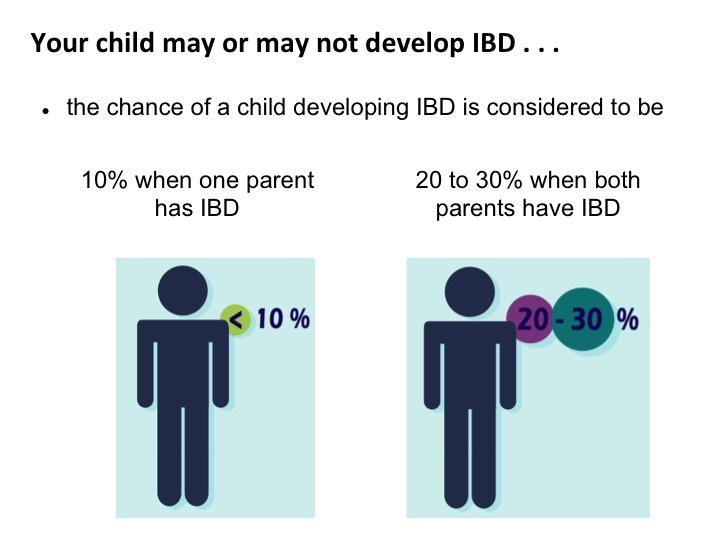 The risk is less than 10% if one parent has IBD, and about 20-30% if both parents have IBD1. The environment is important . . . 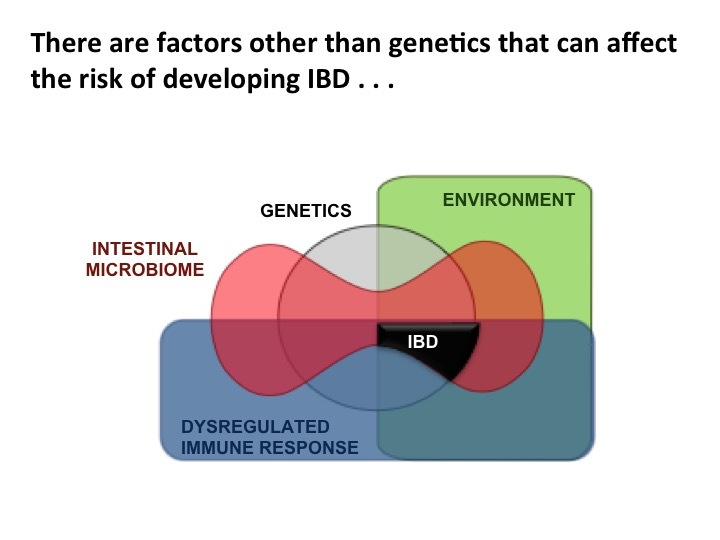 The environment can provide triggers that lead to the development of IBD. 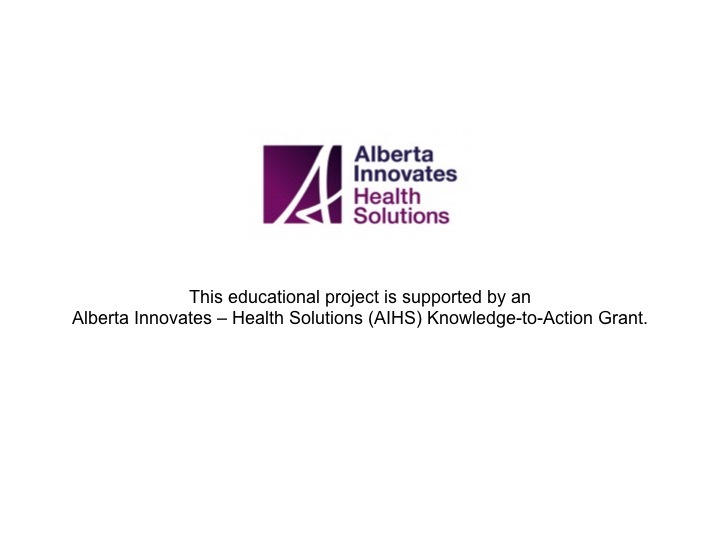 There is a relatively high prevalence of IBD in Western and developed countries2,3. However, the incidence of IBD is rising in developing countries. Children who immigrate take on the risk associated with the country to which they are moving4. Living in an urban setting is associated with an increased risk of developing IBD – this association appears to be stronger for developing Crohn’s disease than ulcerative colitis4. Smoking may play a role . . . 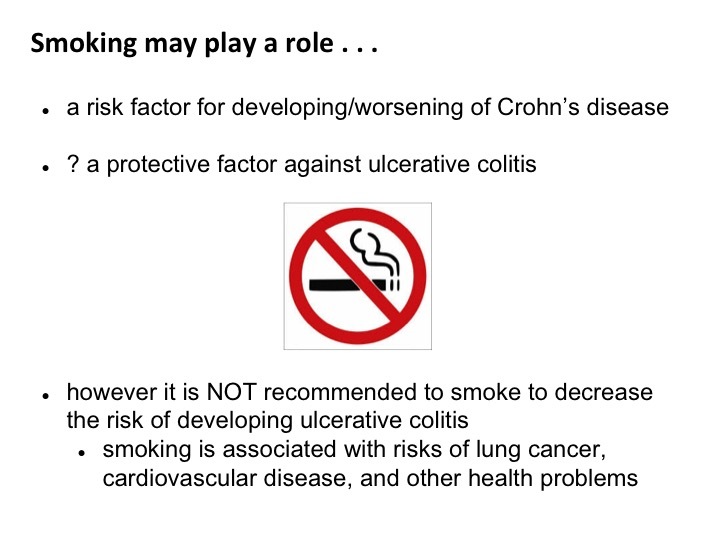 Smoking has been reported to be a risk factor for developing and worsening of Crohn’s disease, but a protective factor for developing and for decreasing disease activity in ulcerative colitis2,3. However, it is not recommended to smoke to decrease the risk of developing ulcerative colitis because of the risks associated with smoking (such as lung cancer, cardiovascular disease, and other health problems). Diet may be important . . . Although studies vary, diets rich in dietary fiber (fruits and vegetables) are thought to be protective against IBD3. 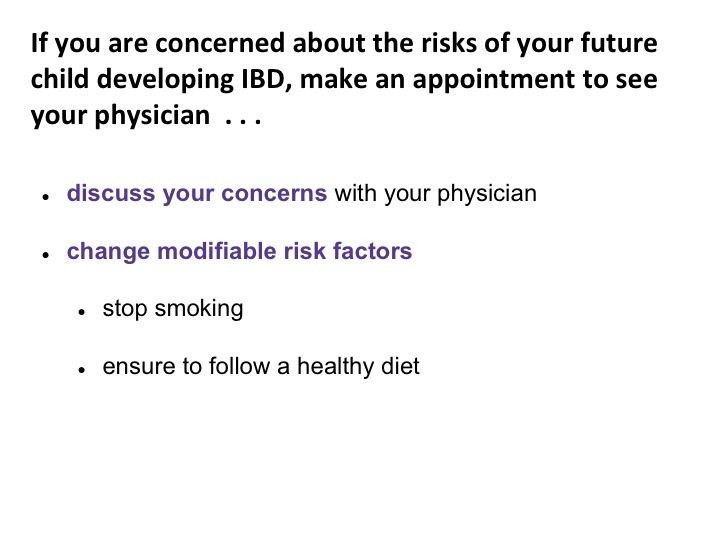 Consuming excessive meat, fish, and fats may increase the risk of developing IBD2,3. 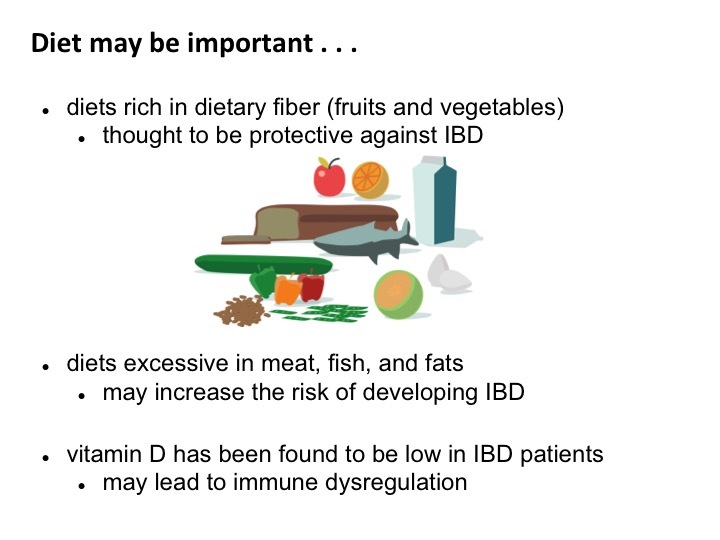 Vitamin D has been found to be low in IBD patients and Vitamin D deficiency may lead to immune deregulation and increase the risk of developing IBD5. The intestinal microbiome is important . . . The intestinal microbiome is made of all the bacteria in an individual’s gastrointestinal tract. It is established in infancy and childhood. 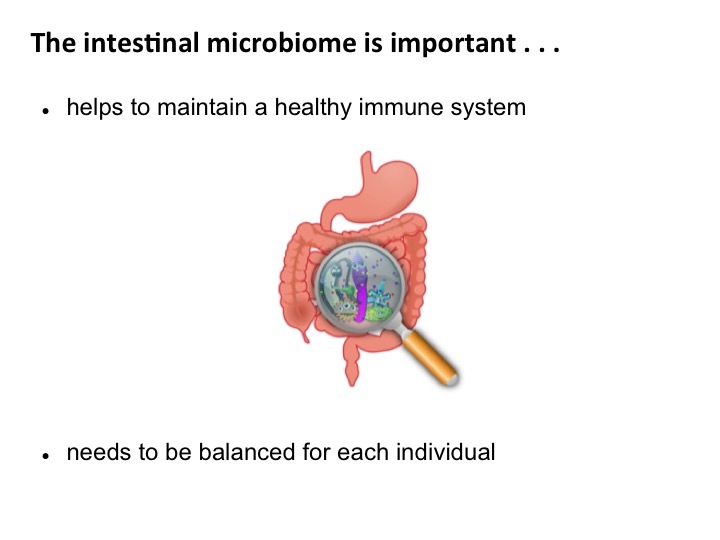 The intestinal microbiome needs to be balanced for each individual to have a healthy immune system. Many things affect the intestinal microbiome . . . 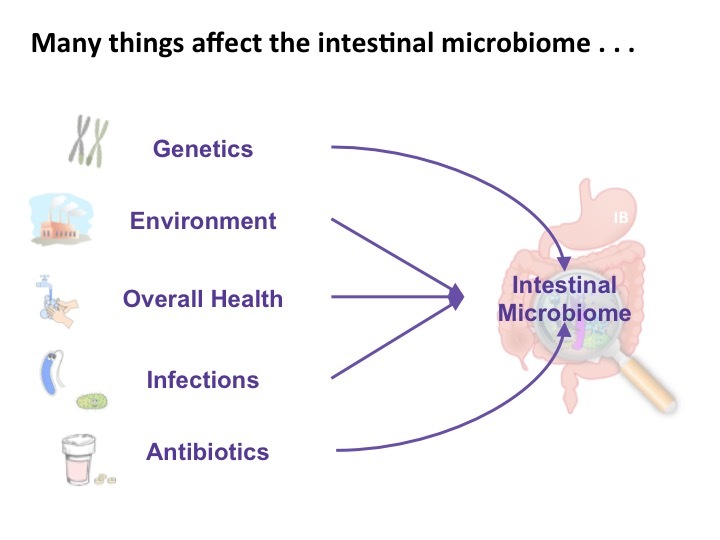 The intestinal microbiome can be affected by a person’s genes, their environment (including diet), overall health, infections, and medications (such as antibiotics). 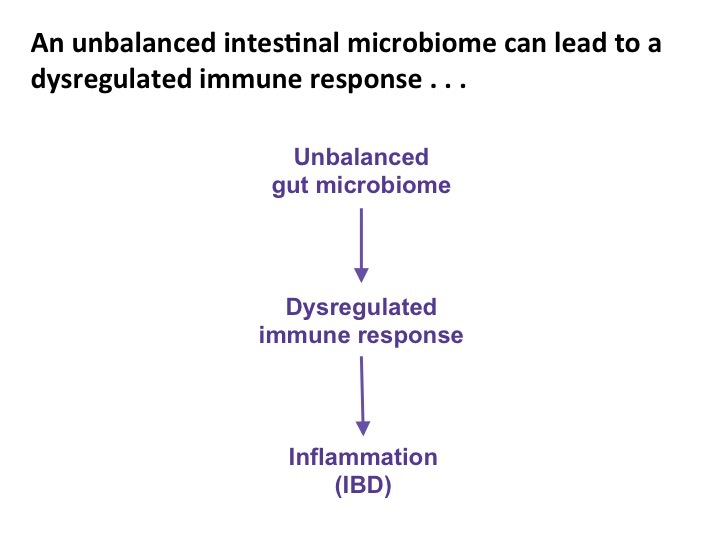 An unbalanced intestinal microbiome can lead to a dysregulated immune response . . . 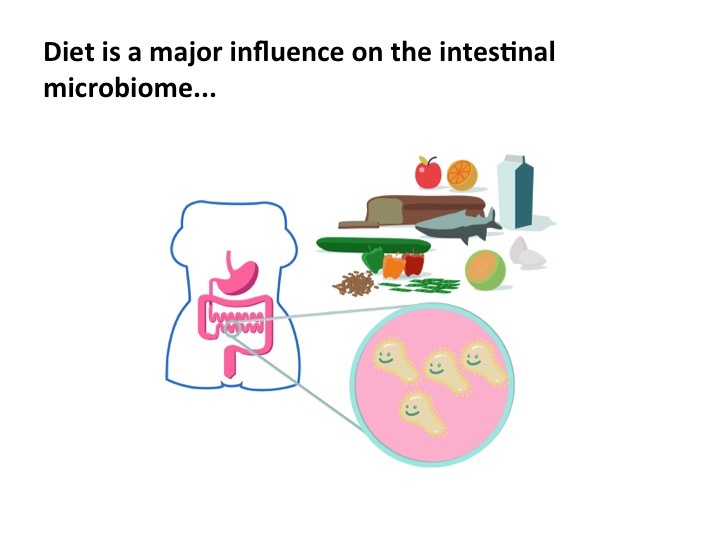 Multiple factors interact and can lead to a change in the intestinal microbiome. An unbalanced intestinal microbiome can lead to a dysregulated immune response resulting in inflammation characteristic of inflammatory bowel disease. Habal F M & Huang V W. Review Article: a decision-making algorithm for the management of pregnancy in the inflammatory bowel disease patient. Aliment Pharmacol Ther. 2012 January; 35:501-515. Aujnarian A, Mack D R, & Benchimol E I. The role on the Environment in the Development of Pediatric Inflammatory Bowel Disease. Curr Gastroenerol Rep. 2013 May;15(326). Ng S C et al. 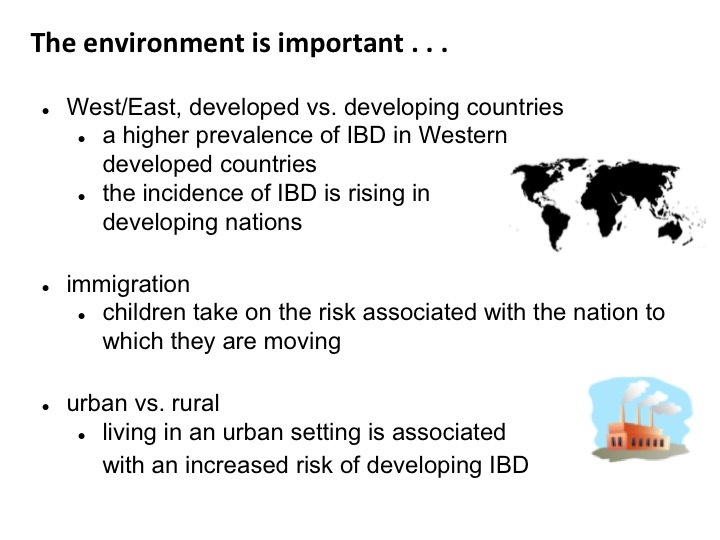 Geographic variability and environmental risk factors in Inflammatory Bowel Disease. Gut. 2013;62:630–649. Reich K M et al. Vitamin D improves Inflammatory Bowel Disease outcomes: Basic science and clinical review. World J Gastroenterol. 2014 May;20(17):4934-4947.